Well that's a wrap from Race 1 in Abu Dhabi. When it came down to the final flights of the day, just 0.003s separated Winner Yoshi Muroya on the top step of the podium from 2nd place Martin Sonka. Proof that it's all about power, focus and precision in these ultra-fast racetracks. 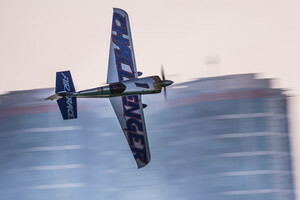 Muroya kicks off his 2019 season with a maximum 28 points, buoyed by a Qualifying win in addition to his stellar race win today. he's followed in the World Championship standings by defending World Champion Martin Sonka on 22pts, with 2018 title contender Goulian in 3rd currently with 21 points. Coming up... Press Conference at 14:15 UTC (14:15 UTC). Where could the Abu Dhabi race be won and lost? Check out our race analyst's first thoughts on the racetrack! Check out the new liveries set to grace the skies above Abu Dhabi this race week! We're back in the UAE for the season opener in Abu Dhabi! 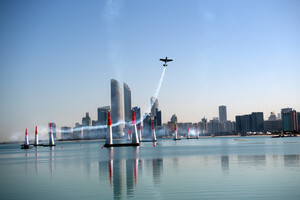 Race 1 of the 2019 calendar sees 14 pilots take the skies above the Corniche for an no-holds-barred new hunt for a World Champion title. Good afternoon! 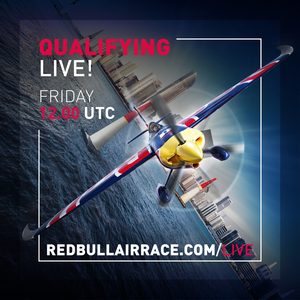 We're live and it's Qualifying Day here in Abu Dhabi. Are you ready to kick off 2019?! 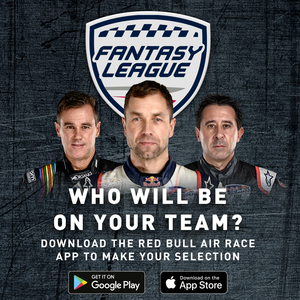 where can I watch the Challengers Quali live? Next up we've got the Challenger Class Qualifying. Germany's Florian Berger has topped the timesheets twice in Free Practice here in Abu Dhabi, with defending Challenger Cup champion Luke Czepiela clocking in 2nd and 3rd place respectively. This is Sammy Mason's first Qualifying session, as one of three new Challenger Class pilots to join the Challenger Cup this season. And here we go! Challenger Qualifying is go as Astles takes to the track for her first Quali session of 2019. It's a bold start for Astles as she flies into the track at 179kts, just shy of the 180kts limit for Challengers. Swifttly into the racetrack and through the chicanes, she's looking at Berger's FP3 time of 57.5s and has to keep the rhythm and the pace there... it's looking pretty good but she's a little off the pace in the second half of the track. She's through cleanly - a solid start - but she's in the 58s region. Next into the track, it's Dario Costa. The Italian pilot has languished at the bottom of the timesheets in Training and Free Practice, with his times clocking in a good +2s slower than Berger and Czepiela. The timings have been littered with penalties but we're seeing a smoother, cleaner run from Costa, who seems to have come into this session with a much tighter racing line. A healthy start for Costa and in this second lap we're seeing more of the same... no penalties yet and he's looking much more relaxed and on form out there... he seems to be enjoying this run and has risen to the challenge, and passes through the Finish Gate with a clean run but still a little off the pace... nevertheless a good foundation for Race Day tomorrow. He slots in behind Astles, taking 2nd place overall so far and pushing Coleman into 3rd place so far. Just a short break as the pilots switch planes - 3 aircraft, 6 pilots! Is the live stream not working for challenger class? And Berger is into the track as we kick off the second half of Challengers Qualifying! 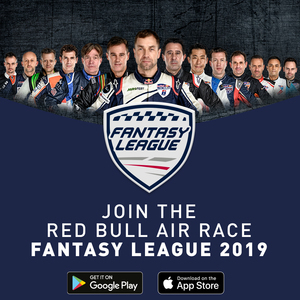 Berger has smashed his way into the 2019 season as a dominating force, already taking 1st place in all the Training and Free Practice sessions. And there's no change as he blasts his way into the racetrack and the first splits are - you guessed it - all green. Perhaps not the fastest of times for Berger, as he clocked in a fastest time of 57.552 in Free Practice... but it's still looking fast, clean and ever so slightly aggressive. Just enough... Berger is already looking unstoppable and he stays on pace to take the top spot in the timesheets, penalty free. Defending Challenger Cup Champion Luke Czepiela is up next. Czepiela (POL) and Mason (USA) still to fly. Czepiela just can't seem to claw back any more time, and loses a little more in that back section of the racetrack... he's slipped down into 3rd behind Berger and Astles despite a promising start. But still - one to watch tomorrow on Race Day. Last into the racetrack for Challengers Qualifying is rookie Sammy Mason. 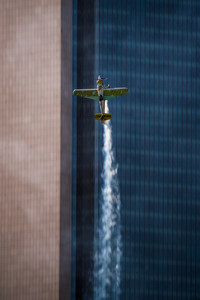 The SoCal pilot has managed a 5th and 6th place in Free Practice, and is looking to be a promising prospect once he finds his feet. A great start for Mason, who is just 0.2s off the pace and is, for his first Qualifying outing, looking in great shape. Nice and smooth but still some more refining to be done, but Mason is penalty-free so far and looking confident out there. A great start for Mason, who takes 5th place overall ahead of his US counterpart Coleman, and just 0.517 behind no.1 Berger. Coming up at 12:00 UTC we've got Master Class Qualifying! The new rules are really going to mix things up this season. Smoke on! Bolton is up first... he's managed 2nd place in Free Practice and we could see a much quicker and competitive performance from the Chilean pilot.